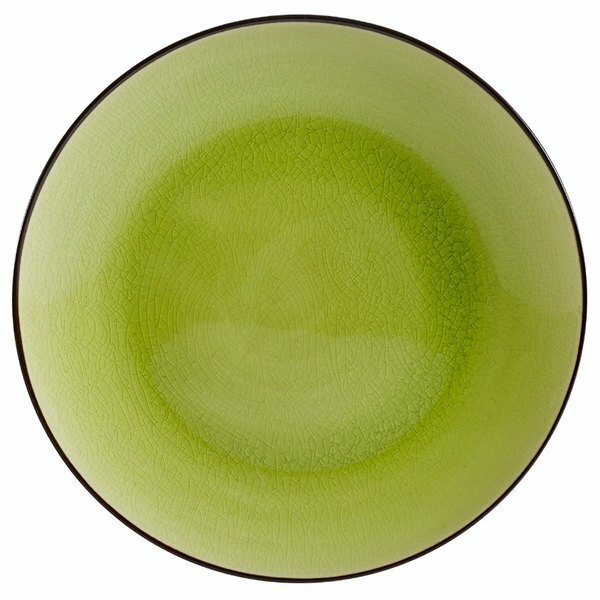 Use this CAC 666-16-G black non-glare glaze and golden green Japanese style 10" coupe plate at your trendy restaurant, sushi bar, cafe, or catered event. Its coupe shape does not have a rim; instead, its sides softly rise from its base for a unique profile. This CAC 666-16-G Japanese style 10" coupe plate is ideal for serving Asian-inspired main entrees.